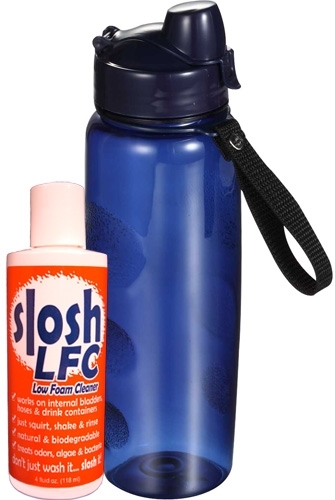 ECONOMY SIZE sloshLFC-(Low Foam Cleaner) removes salt, chlorine, odors, organic residue, mold, algae & bacteria. Its low foaming properties & special disinfectants make it the perfect cleaning solution for products such as BC bladders & hoses, drinking bladders & hoses, water bottles & more. 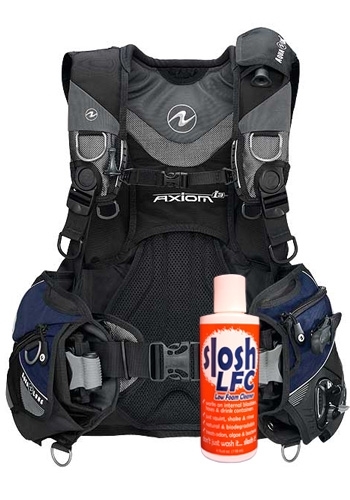 Use sloshLFC in conjunction with slosh cleaner/conditioner to boost cleansing properties. 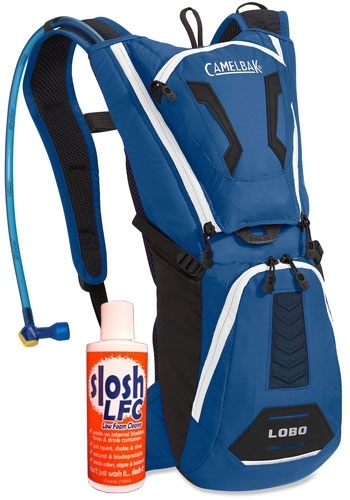 Our economy size saves you money as a refill for your 1 and 4 ounce sloshLFC bottles, not to mention taking it easy on the environment as well! Available in 1 ounce, 4 ounce, 32 ounce & 1 gallon sizes.